I came across the South West Garlic Farm on Twitter about a year ago. I was fascinated by their beautiful images of garlic at various stages of growth. 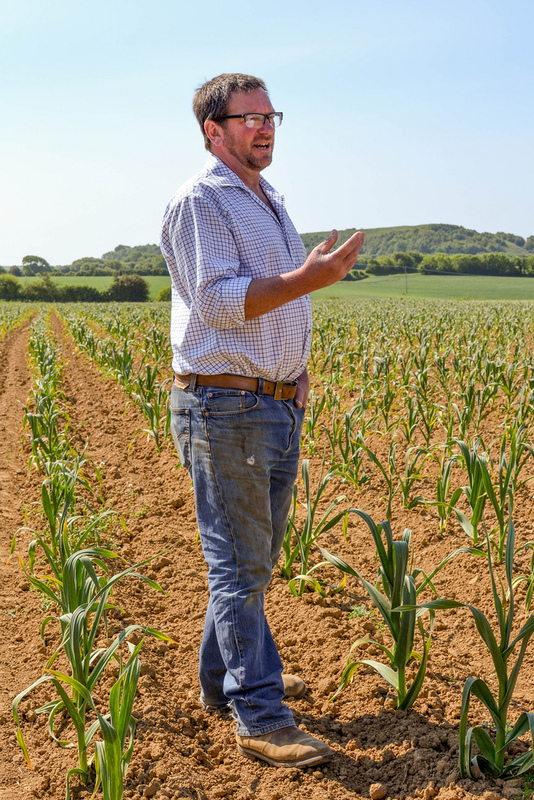 We’ve been in touch ever since and on my recent trip to the beautiful southern coastline of Britain, I popped in to meet farmer and owner Mark Botwright, and learn first hand how, from just three elephant garlic cloves planted sixteen years ago, he has grown South West Garlic Farm to be one of the UK’s top garlic producers. 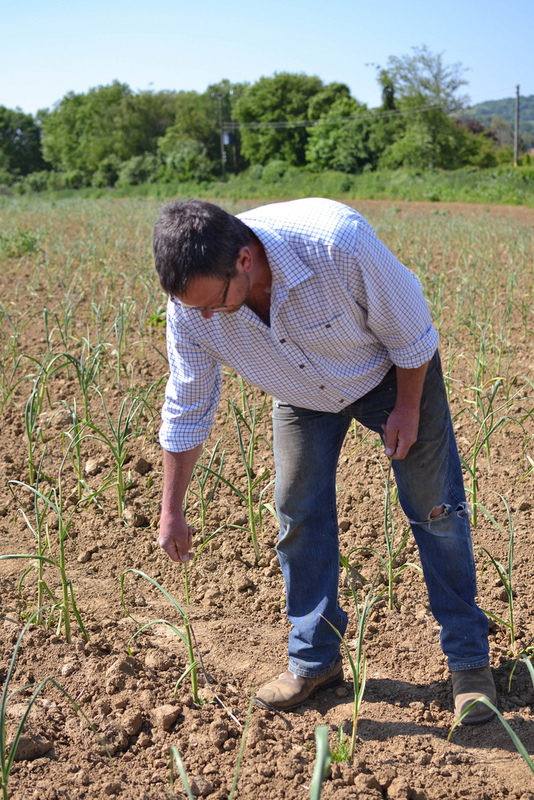 Its taken Mark sixteen years to develop the knowledge he has on garlic growing. Curious to see what what happen when he planted some garlic bought on holiday, he started growing some at home as a hobby. Now he’s renting acres of land to develop this hobby into a business that will see him become the UK’s largest producer of garlic, growing a million bulbs and more in the next three years. He’s very laid back but its completely clear as he starts talking, that he knows exactly what he’s doing and why. His fields are all quite high up and this is not just for the glorious views. The elevated position keeps the plants exposed to wind and thus more likely to be disease free. 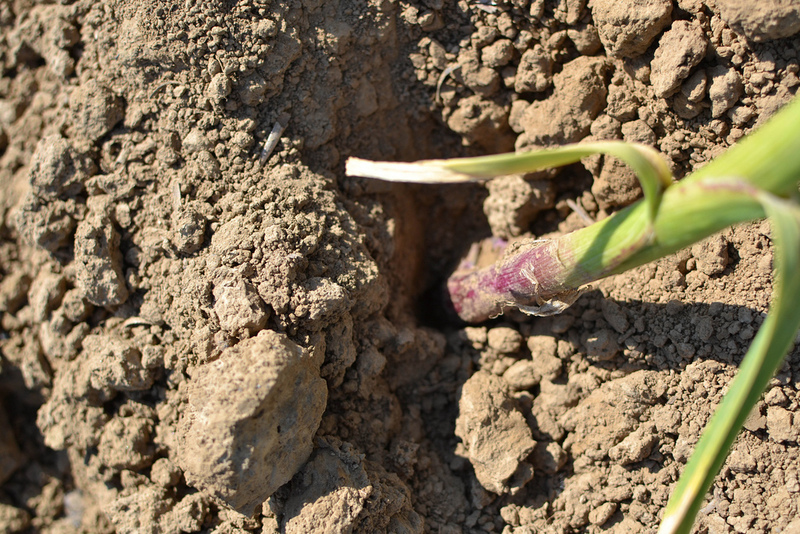 He plants directly into the soil six inches apart to allow air to move freely around each bulb as it develops and make it easier for weeds to be pulled out. There are no fertilisers or sprays used on the farm and everything is currently smashed out the old fashioned way with a hoe. I found this utterly amazing considering the neat rows before me. 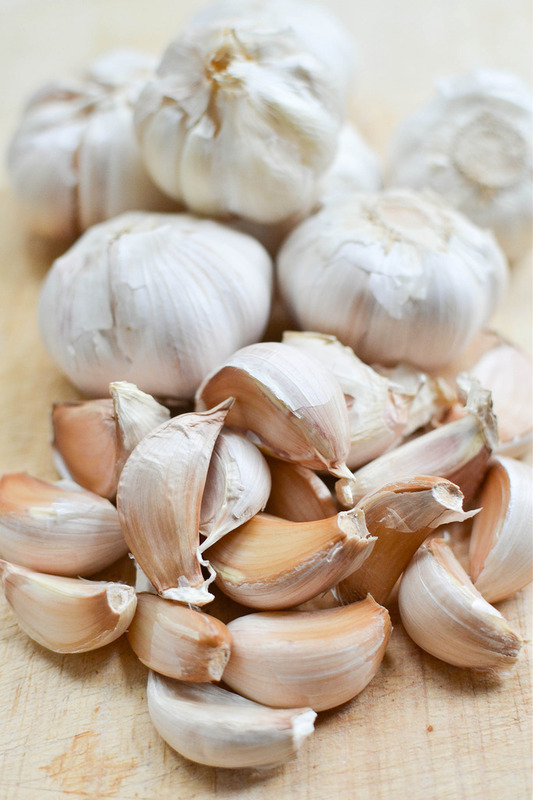 Mark cultivates three core products from the following varieties of garlic. 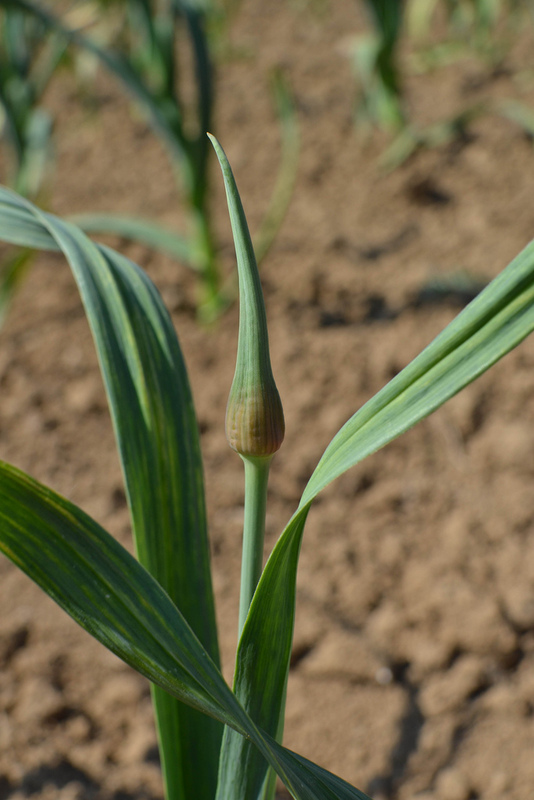 Elephant Garlic – cricket ball sized bulbs bursting with cloves approx an inch and a half long and three quarters of an inch thick. A mild and earthy taste. Morado and Iberian Garlic from Spain which has a strong flavour and purply brown cloves. 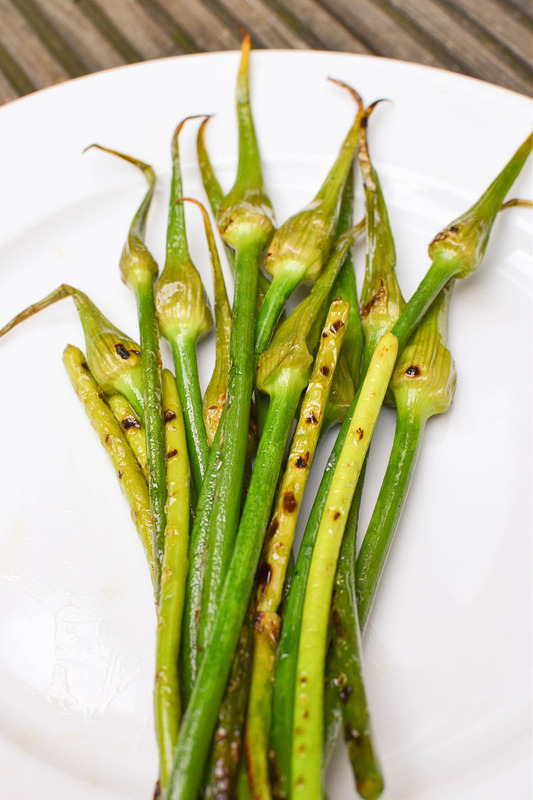 Laba Garlic which a green vinegar preserved garlic with a sour and slightly spicy taste. Violet Spring Garlic from South America which has a beautiful purple haze on the bulb but the deeper you plant it the whiter it becomes. It has a rounded garlic flavour with no harshness. Scapes are the first products from the planted bulbs. I had not heard of them til my recent visit to the US. They are the long, leafless flowering stem that grows out of the bulb and would flower if left to grow. Each one is pulled out carefully by hand. Mark made it look very easy. I had a go and found it incredibly therapeutic. But, on a gloriously sunny day in the heart of the Dorset countryside I guess it would be. 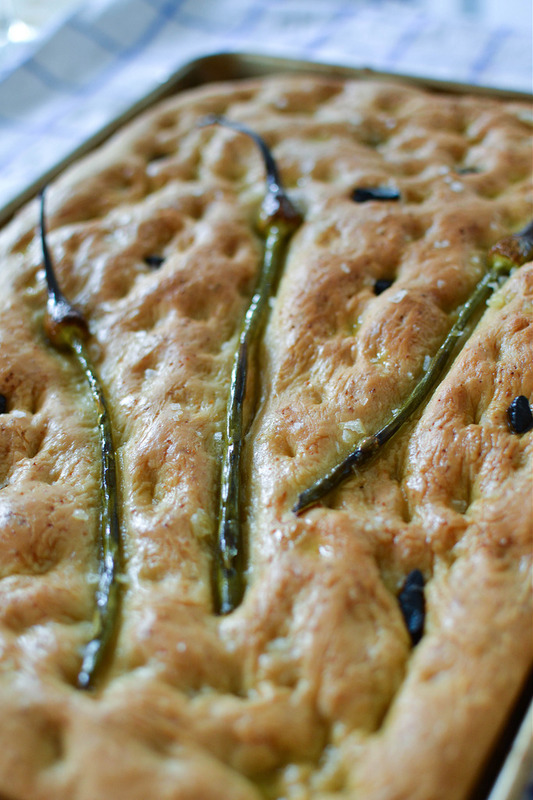 and in a Focaccia. The Elephant Garlic Scapes were the most flavourful. 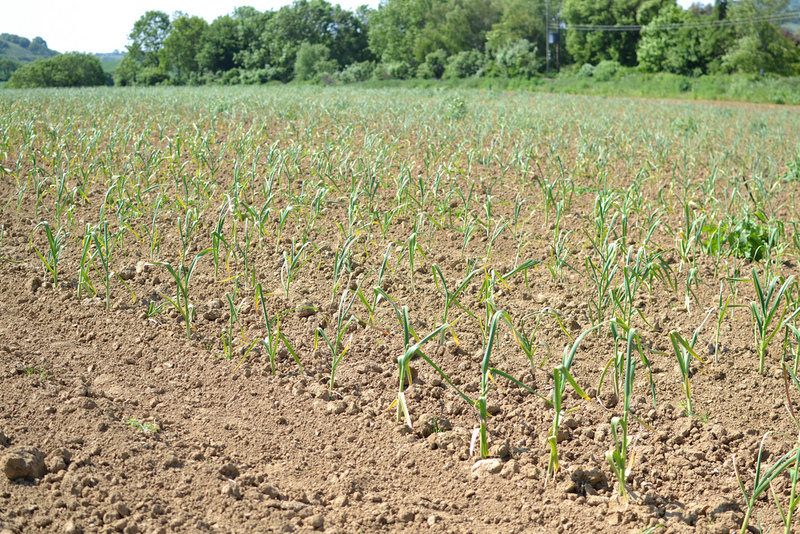 The very first garlic crop of the season is known as “wet” garlic because it has not been hung up to dry. It has to be picked by hand. When the bulb starts to grow a stem, Mark picks half the crop and sells this as wet garlic saving the rest for drying. The texture is quite different from dried garlic. The internal skins haven’t formed so you can chop and use the whole head as a seasoning. The huge cloves give a creamy flavour which is strong, but not bitter. 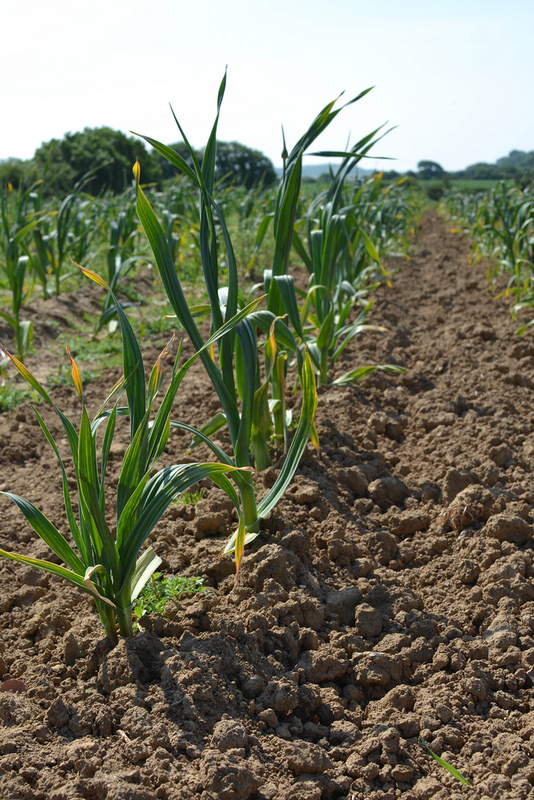 The rest of the garlic crop is left in the ground for four weeks longer is used as seed for the next crop and for selling as the dry garlic we all know and love. I don’t think I’ll ever think about garlic the same way again after seeing the work that goes into growing it. I started reflecting on how much I take this store cupboard ingredient for granted. I thought about how I am sometimes too flippant with throwing it in to recipes without really thinking how to get the best flavour out and indeed which of the different types to use. I’ve had different varieties before but not sought them out proactively so I’ll be making a more conscious effort to do this. Do you like garlic? Do you grow garlic? 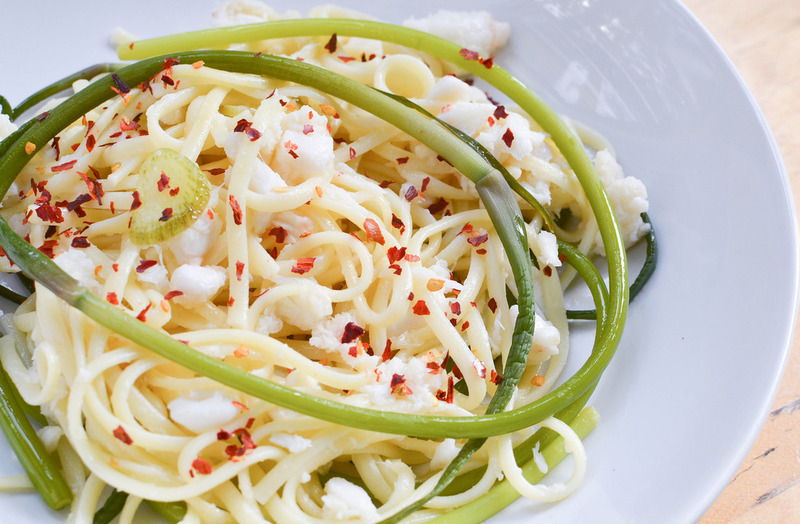 What’s your go to garlic dish? My garlic has been badly hit by rust this year – but I’m hoping the bulbs will be ok. We like garlic cooked with cannellini beans, salt and olive oil, sometimes with some rosemary added, other times with olives… very good with pasta or crusty bread! 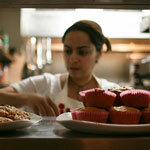 Great post Urvashi! the food looks yummy too!